Good news in the fight against monopolies in nutritional therapy. You may remember the story of North Carolina Paleo-blogger Steve Cooksey. In 2012, Cooksey got a cease-and-desist letter from North Carolina’s Board of Nutrition/Dietetics because he was offering nutritional advice about the Paleo diet at no charge on his blog—but without a board-issued license. A legal battle ensued after the Institute for Justice took up Cooksey’s case, culminating last week in a settlement that affirmed Cooksey’s First Amendment right to post general nutrition advice on his blog. In guidelines that were voted on and approved as part of the settlement of the case, the board stated it will not “restrict the expression of general information, guidance, or encouragement about food, lifestyle, or dietary practices.” It will, however, continue to restrict activities that occur in the context of a “professional–client relationship,” where an individual’s nutritional needs are assessed and a nutritional regime is recommended based on the perceived needs of that individual. In essence, this means that bloggers and nutrition coaches giving general advice no longer need to fear legal action from the board. This creates a precedent for challenges to other state dietetics boards across the country. It’s no small feat, and we at ANH-USA applaud the great work done by the Institute for Justice to protect health freedom and contain crony capitalism in North Carolina. The fight is far from over, however. While it’s good that the NC board is taking its foot off the gas in its aggression against some practitioners, the board is still free to take legal action against credentialed nutrition experts whose only “crime” is that they haven’t jumped through the board’s hoops, which are tailored for dietitians. It’s still illegal for someone with a PhD in Nutrition, for instance, to advise a client regarding his or her specific needs without first going through the board’s registration process. The only way to really fix this is to repeal or amend the law that is already on the books. The main culprit behind the establishment of these state nutrition and dietetics boards is, of course, the Academy of Nutrition and Dietetics (AND), and they’ve been at this for quite a while. As we’ve argued before, the AND—the trade association for Registered Dietitians (RDs)—has made it a priority to pass, in as many states as possible, “scope-of-practice” laws whereby only RDs can offer nutrition services. This, of course, explicitly excludes other nutrition professionals who are often better educated, more experienced, and better qualified than RDs. Once scope-of-practice laws pass the state legislature and are signed into law, state boards are created to enforce the RD monopoly. These state boards, which are mostly composed of RDs, have sometimes gone to great lengths to catch and punish unlicensed nutritionists through surveillance (including undercover sting operations), aggressive investigations, and prosecutions of nutrition professionals. If this sounds a little too much like a gangster movie to you, you’re not alone. An earlier ANH-USA investigation into the records of four state dietetics boards did not reveal a single case of an unlicensed nutrition practitioner causing harm, nor any customer-filed complaints against a nutritionist. It would seem that the draconian enforcement of AND-sponsored laws is intended only to deliver a monopoly, not a safe and healthy public. To be fair, it’s perfectly legitimate for RDs to want to protect the term “Registered Dietitian” as a means of informing consumers of their particular professional training. At the same time, we believe in a competitive and open market for nutrition professionals, with consumers and employers (including hospitals) being able to decide what credentials, education, and experience they want in a nutrition provider. There are currently twenty-one states with scope-of-practice laws and seventeen states with other forms of restrictive practice laws. The good news is, there’s been progress. With the help of our members and allied groups, we’ve been able to stem the tide of these bad laws in Michigan and Illinois (we’re particularly pleased about Illinois because it’s the state where AND headquarters is located!). 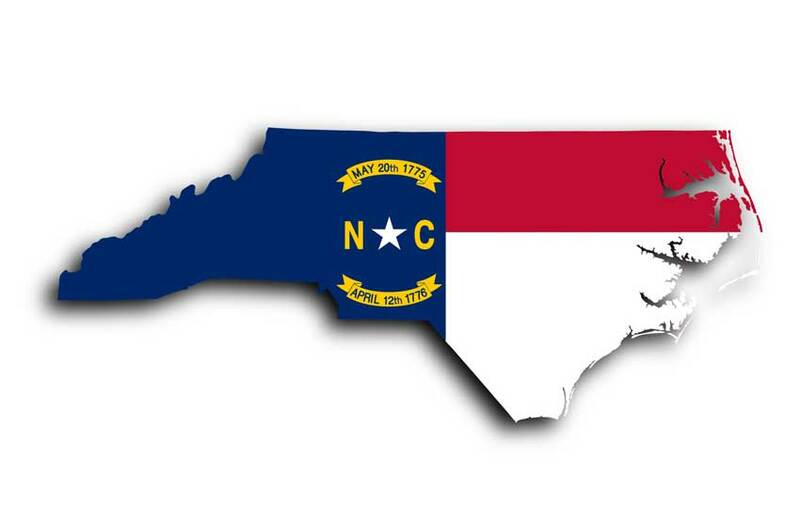 With this recent settlement, we can add North Carolina to the list—even if it’s with an asterisk. We will continue to monitor the issue closely and work to prevent more legal attacks against people like Steve Cooksey and other nutrition professionals.